American Heart Association believes that properly trained healthcare providers, bystanders, and dedicated community volunteers can save more lives. 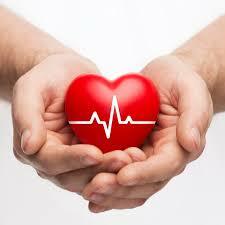 • Over 350,000 out-of-hospital sudden cardiac arrests occur annually, and 70 percent of cardiac arrests occur at home. • Many victims appear healthy with no known heart disease or other risk factors. • Failure to act in a cardiac emergency can lead to unnecessary deaths. • Effective bystander CPR provided immediately after sudden cardiac arrest can double or triple a victim’s chance of survival. • The American Heart Association trains 17.8 million people in CPR annually, to equip Americans with the skills they need to perform bystander CPR. The Basic Life Support is delivered and utilized Emergency Cardiovascular Care and Cardiopulmonary Resuscitation recommended for healthcare providers, bystanders and dedicated community volunteers according the 2015 American Heart Association Guidelines. The certified and dedicated instructors by American Heart Association educated with knowledge and skills to provide hight quality CPR for victims of adults, children and infants. Through class participants learn how to use an automated external defibrillator ( AED ) and how relive choking ( foreign body airway obstruction ) and enable differential a sudden cardiac arrest from another cardio emergency cases and bring a proficiency to successful terminate to them in – and out – of – hospital setting.
. 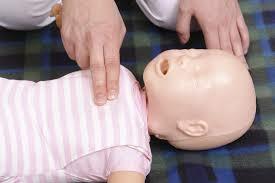 Performing prompt, hight-quality chest compressions for adult, children and infant. This course is designed to simplify training for participants and to continue to emphasize the need to provide early and high-quality CPR for victims of cardiac arrest by result to save lives. 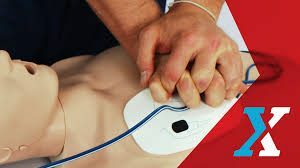 The hands-on, and other life-saving techniques, and using a ‘practice while watching DVD ” approach, practice CPR with simultaneous manikins, stress free class makes your class enjoyable and brings 100 % skills and knowledge. Upon successful completion of this course, students will receive a 2 years AHA certification card. Also, we are offered a LiveScan fingerprint service for ACHA, FDLE, DCF and we are very welcome to provide the special price to bundle both of those services.